There's been quite a lot of interest in the new 35" gaming screens from the like of BenQ (XR3501) and Acer (Predator Z35). These offer large 35" curved screens based on a VA panel which can support a native 144Hz refresh rate. Acer have even added a G-sync module to their Z35 and allowed for overclocking of the refresh rate up to 200Hz. Until now there haven't been any 35" models like this offering support for AMD FreeSync, and so AOC are the first to venture in to this space. Their new C3583FQ uses the same high refresh rate AMVA panel from AU Optronics, boasting a 144Hz refresh rate support. According to the specifications the FreeSync range of this model is 48 – 146Hz, but there is also now LFC (Low Framerate Compensation) to help smooth out the experience below that. The press release material talks about support for refresh rates up to 160Hz which implies some small overclock, but we've yet to see how or if that will work effectively. The screen offers only a fairly low 2560 x 1080 resolution which has put off some users due to the large pixel pitch (79.39 PPI). This might not be very attractive for desktop use, but for gaming it does at least make driving the screen much easier than trying to power 3440 x 1440 at high refresh rates. In other specs there is a 2000R curve, 5ms G2G response time, 2000:1 contrast ratio (thanks to the VA panel), 300 cd/m2 brightness and 178/178 viewing angles. Note that the ports, OSD control buttons and much of the internal electronics for the monitor are integrated into the stand base, so VESA mounting is not an option. The included stand is tilt-only. The ports include; Dual-Link DVI, 2x HDMI 1.4 ports (with MHL), 2x DP 1.2a+ ports (with Adaptive-Sync), 3.5mm audio input and 3.5mm audio output. Two rear-facing 5W speakers are also included. No details on price or availability yet but the display will be showcased at CES 2016 in Las Vegas in January. Update 19/1/16 - according to new information we have from AOC, the C3583FQ will be available in February 2016 for an MSRP of £579. 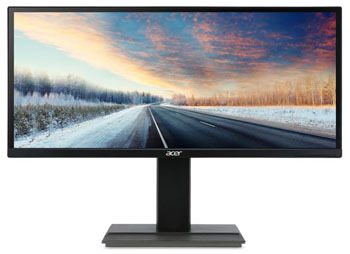 Acer have just launched a couple of new 34" sized displays in America. 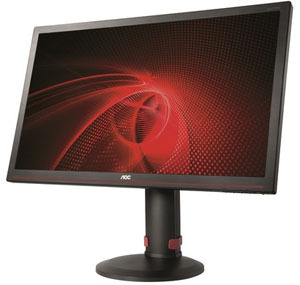 Unlike a lot of their new screens these aren't specifically gaming monitors, and focus more on general all-round uses. The B346CK is the main model, featuring a 3440 x 1440 IPS panel, 60Hz refresh rate, 6ms G2G response time, 1000:1 contrast ratio, 320 cd/m2 brightness, 178/178 viewing angles and 1.07b colour depth. It has a standard gamut 100% sRGB coverage. Then there's the B346C which offers a lower unusual 2560 x 1080 resolution, 300 cd/m2 brightness and 16.7m colour depth. The other specs remain the same as the B346CK. Acer included picture-by-picture and picture-in-picture modes for both displays. They both have the same stand, with tilt, height and swivel adjustments offered and also the same connections with DisplayPort and HDMI (MHL) offered. The B346C is available for $599 MSRP, and the B346CK is listed for $799 MSRP in the US. 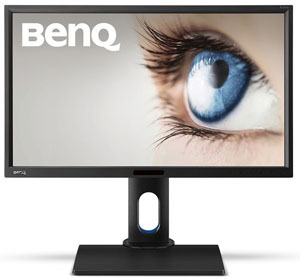 The BV3200PT is a new model in BenQ's range, primarily focused on video editing uses. It's key selling points are its "4K" resolution and 100% Rec.709 colour space coverage. The new display offers an UltraHD 3840 x 2160 resolution with 60Hz refresh rate support. IT is 32" in size and so looks like it will be based on one of AU Optronics' AHVA (IPS-type) panels. In other specs there is a 5ms G2G response time, 1000:1 contrast ratio, 350 cd/m2 brightness, 178/178 viewing angles and 10-bit colour depth. With colour accuracy and user control being of key importance, each monitor is individually factory calibrated to provide an average DeltaE of ≤2 for sRGB (and Rec. 709). EBU and SMPTE-C colour spaces are also supported. The monitor also includes a hardware-programmable 14-bit 3D LUT which can be addressed using the included Palette Master Element software and a compatible colorimeter. These include the X-Rite i1 DisplayPro, i1 Pro, i1Pro 2 and Datacolor Spyder4 and Spyder5 series. There is also a built in uniformity correction feature which is not commonly used. The stand offers a full range of tilt, height, swivel and rotate functions and the screen also features BenQ's ECO proximity sensor and 'Eye Protect' ambient light sensor built in to the bezel. The screen is of course flicker free as with all BenQ models and features a low blue light mode too. 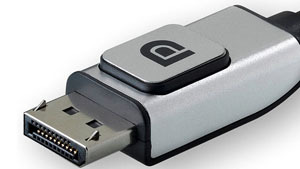 There are DP 1.2, HDMI 1.4, mini DP, 2x USB 2.0, audio input and audio output connections, along with a media card reader provided. Pricing and release date are not confirmed yet. While the forthcoming XB271HU display represents Acer's latest 27" gaming screen with G-sync support, their new XF270HU will provide support for AMD users instead. The new 27" screen offers FreeSync support, along with the 2560 x 1440 resolution IPS-type (AU Optronics AHVA) panel that is proving very popular right now in gaming displays. 144Hz refresh rate support is offered with FreeSync being able to dynamically control the monitor refresh rate to eliminate stuttering and tearing. The lower FreeSync range spec is not known at this time, but there has been the recent addition of ‘LFC’ (Low Frame-rate Compensation) to AMD’s Radeon Software Crimson suite which should help. This helps reduce stuttering and tearing even if the frame rate falls below the minimum refresh rate of the monitor, by allowing the monitor to stick to a multiple of the frame rate with its refresh rate. In other specs the XF270HU offers a 4ms G2G response time, 1000:1 contrast ratio, 350 cd/m2 brightness and 178/178 viewing angles. The stand offers tilt and height adjustments and there are DL-DVI, HDMI 2.0 (with MHL), DisplayPort 1.2a and 4x USB 3.0 connections. There are also 2x 2W stereo speakers and the screen is advertised as flicker free, with a blue light filter mode also included. The screen is now available in the USA at ~$600, with UK and European release expected soon. AMD have recently confirmed that they will be releasing GPU's in 2016 that support DisplayPort 1.3 HBR3 (High Bit Rate 3). This will offer 32.4Gbps of bandwidth, a 50% increase over current DP 1.2 and an 80% increase over HDMI 2.0 they note. The new standard utilises existing DP cables and connectors although they do say that cables of <2m are recommended for "optimum experience". The new standard will allow for higher resolutions and refresh rates than the current standard, along with higher colour depths than 8-bit per channel. From a monitor point of view this finally allows manufacturers to push beyond the 60Hz limit for 4k / Ultra HD resolutions currently set, and so we may start to see higher refresh rate 4K screens emerge at some point next year. At a resolution of 3840 x 2160, refresh rate will be possible up to 120Hz over DP 1.3. It should be noted that at this time we have no firm news of any monitors using DP 1.3, or offering these kind of resolutions and refresh rates. We expect to see some news in the second half of 2016 once the standard is introduced by graphics card manufacturers. DisplayPort’s scalability via tiling has meant that some monitor configurations have been possible even via DP1.2 by utilizing MST over multiple cables, however with DP1.3 it will now be possible to support those configurations in a simpler SST configuration over a single cable. 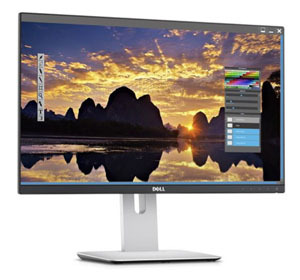 This includes the current 5K monitors like the Dell UP2715K for instance. Also scheduled for 2016 is support for the HDMI 2.0a standard, the latest generation HDMI standard. HDMI 2.0 was launched in 2013 as an update to the HDMI standard, significantly increasing HDMI’s bandwidth to support 4Kp60 TVs, bringing it roughly on par with DisplayPort 1.2 in terms of total bandwidth. Along with the increase in bandwidth, HDMI 2.0/2.0a also introduced support for other new features in the HDMI specification such as the next-generation BT.2020 colour space, 4:2:0 chroma sampling, and HDR video. Existing FreeSync (over DP) models with HDMI inputs are unlikely to be able to support the new FreeSync over HDMI feature, although AMD commented that there may be updated versions of those screens released at some point potentially to accommodate this. On the GPU side, FreeSync over HDMI will work on any Radeon card capable of variable refresh over DisplayPort, including the full lineup of GCN 1.1- and 1.2-based processors. Tahiti, Pitcairn, Cape Verde and their re-branded derivatives aren’t compatible. 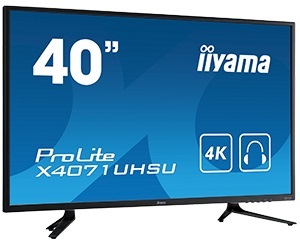 The ProLite X4071UHSU-B1 is an impressive 40" (well, 39.5") sized UltraHD (3840 x 2160) monitor, offering a gigantic viewable area with 4 times more information and work space than a Full HD screen. Due to the high DPI (dots per inch) the monitor displays an incredibly sharp and crisp image. The VA panel technology offers strong colour performance, high contrast (5000:1) and wide viewing angles. PIP and PBP features allow users to easily create their own work space by displaying and manipulating multiple applications. USB 3.0 HUB, integrated speakers, headphone socket and hook, ensure compatibility across various devices and media platforms for a real multimedia experience. The ProLite X4071UHSU-B1 suits a massive range of applications including desktop publishing, CAD/CAM drawing, gaming, photographic and web design. Spec wise the screen offers a 3ms G2G response time, 5000:1 static contrast ratio, 350 cd/m2 brightness, 178/178 viewing angles, 1.07b colour depth and 60Hz refresh rate. VGA, HDMI and DisplayPort connections are provided. The screen should be available now. 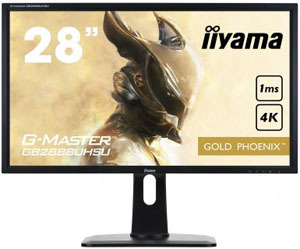 Iiyama have recently announced the new "Golden Phoenix" (where do they come up with these names?!) GB2888UHSU monitor. Part of the recently introduced G-MASTER series, the screen is specially designed for gamers. It is based on a 28" sized 3840 x 21060 resolution TN Film panel, with 1ms G2G response time and support for AMD FreeSync. It offers VGA, HDMI and DP connections along with a USB hub, integrated speakers and headphone socket. In other specs it offers 1000:1 contrast ratio, 300 cd/m2 brightness, 170/160 viewing angles and a 1.07b colour depth. PiP and PbP are also supported. For optimal gaming comfort gamers can use the Black Tuner, OverDrive and Custom Gaming mode functionalities to easily adjust their setting preferences. The screen incorporates an ergonomic height adjustable stand with a range of 13cm for perfect posture support when gaming. The screen is available now in Europe. 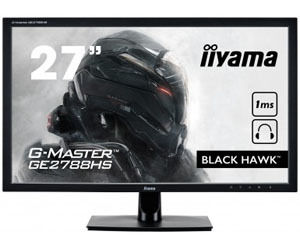 Iiyama have recently announced the new "Black Hawk" GE2788HS monitor. Part of the recently introduced G-MASTER series, the Black Hawk is specially designed for gamers. The screen is based on a 27" 1920 x 1080 resolution TN Film panel, with 1ms G2G response time. In other specs it offers 1000:1 contrast ratio, 300 cd/m2 brightness, 170/160 viewing angles and 16.7m colour depth. Despite being a gaming screen it is a standard 60Hz refresh rate model only. Gamers can easily adjust the brightness and dark shades using the Black Tuner functionality, improving the viewing performance in shadowed areas. With direct access to 5 predefined and 3 custom stored gaming modes, gamers can quickly adjust their setting preferences. The screen has VGA, HDMI and DVI inputs along with a headphone port and integrated speakers. Flicker free backlighting and a blue light filter are also included. The GE2788HS is available now in Europe. AOC extends the range of its Style line displays with two new models, which are a feast for the eye even when turned off: the nearly borderless design of the AOC i2481FXH (23.8″ / 60.5 cm - pictured) and AOC i2781FH (27″ / 68.6 cm) combined with a unique asymmetric metal stand make them stand out from the crowd. The bezel design in the above image looks like it might be a little misleading, as although there is no doubt a very thin outer plastic bezel, there is also no doubt an inner panel bezel of some degree, which will mean the total black edge border is more than that shown here in the marketing image. In fact the press release goes on to state that the bezel on the i2481FXH is 7.5mm and on the i2781FH it is 9.9mm which seems more realistic and still very thin. Both screens feature IPS panels with 1920 x 1080 resolution along with 4ms G2G response time, 1000:1 contrast ratio, 250 cd/m2 brightness, 178/178 viewing angles, 16.7m colour depth and sRGB gamut. Flicker free backlights are also provided. They offer 2x HDMI and 1x VGA connections but the stand has only a basic tilt adjustment. 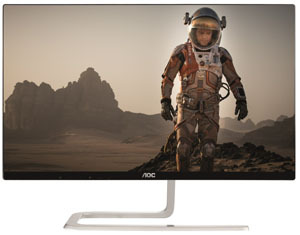 The AOC i2481FXH will be available October 2015; the AOC i2781FH will follow in December. Their MSRPs will be £139 and £199 respectively. Philips have recently released a new quad HD 2560 x 1440 resolution 25" display in their line-up. Why Philips can't just use sensible and simple model names we don't know, but the new screen will be the 258B6QJEB. It will use an IPS panel with 5ms G2G response time, 1000:1 contrast ratio, 350 cd/m2 brightness, 178/178 viewing angles and 16.7m colour depth. The W-LED backlight will offer a standard sRGB gamut. DisplayPort, HDMI, DL-DVI and VGA connections are provided. Moreover, the monitor has built-in stereo speakers for multimedia and 2x USB 3.0 / 2x USB 2.0 ports for fast data transfers and smart phone charging. The screen is also advertised as flicker free which is positive news. A full range of ergonomic adjustments are offered from the stand with tilt, height, swivel and rotate all accounted for. 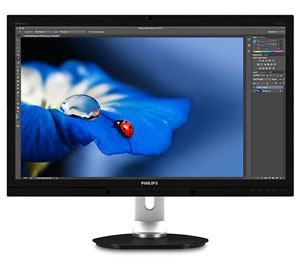 The new Philips display should be available now at a price of £ 289 GBP. Acer had already announced the forthcoming 35" Predator Z35 model a couple of weeks back, a screen with a massive 35" 21:9 aspect ratio curved screen, VA panel, NVIDIA G-sync and support for refresh rates up to an overclocked 200Hz. We have also been given information from Acer about a new model in a similar style which supports VESA Adaptive-Sync. It looks to have some silver trim instead of the red trim of the Z35, something which Acer also did to distinguish between the 34" XR341CK and X34 models. The Predator XZ350CU will feature the same 2560 x 1080 resolution 35" VA panel with a 2000R curvature. This model has Adaptive-Sync support and will offer a refresh rate up to the maximum of 144Hz specified by the AU Optronics panel used. The reason the Z35 G-sync model can reach up to 200Hz is because of an overclocking support from the G-sync module. In other specs this XZ350CU model will offer a 4ms G2G response time, 300 cd/m2 brightness, 172/178 viewing angles and 100% sRGB coverage. Static contrast ratio spec is not listed but we suspect 3000:1. The screen is W-LED backlit. It will have a flicker free backlight and 2x 9W DTS stereo speakers, and USB 3.0 ports. Connectivity isn't listed in the spec we've seen yet but expect the usual wide range from FreeSync screens. No word on price or release date yet. In August we brought you the early news about some forthcoming Dell UP series screens, along with some predictions about what we might expect from the new UP3216Q, UP2716D and UP2516D displays listed. These new screens have appeared on dell's Asia-Pacific website now, giving us access to some official information. Below is some information about each by way of an update to our previous predictions. Knowing the model names and what has come before them, we made an educated guess at some specs and features which will be offered on these models and we seem to be right. The UP models we represent the UltraSharp Premium range, and they all feature hardware calibration support of the monitors LUT, wide gamut backlighting and they also come with factory calibration offering dE of <2. UP3216Q - This is probably the easier one to predict. We know that the 2014 UP3214Q is planned to go end of life in late October this year, while this new model is expected to appear for retail at the same time. This looks like a straight replacement to that old UP3214Q we have reviewed in the past. Expect some updates and improvements including the screen being recognised as a single display (SST) as opposed to multi screen (MST). The UP3214Q was a very early ultra HD offering so things have moved on since then. Confirmed, the 'Q' in the product name indicates it will have an Ultra HD 3840 x 2160 resolution like the other models with the Q in their name (UP3214Q, UP2414G, P2415Q, P2715Q). It is indeed a 31.5" sized IPS-type panel again, probably sticking with a Sharp IGZO panel like the old model. Spec wise it offers 6ms G2G response time, 1000:1 contrast ratio, 300 cd/m2 brightness, 178/178 viewing angles, 1.07b colour depth and a wide gamut backlight delivering 99.5% Adobe RGB coverage. UP2716D - The existing U2713H from 2013 is due to go end of life soon and so this is likely a direct replacement for that model in 27" size. 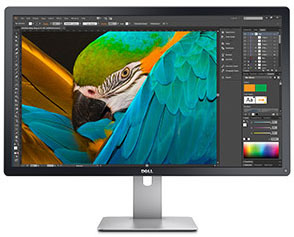 The UP designation indicates wide gamut backlighting and hardware calibration high end features again, while the absence of a 'Q' in the model name indicates this will be kept at a 2560 x 1440 resolution as confirmed on Dell's website. The spec offers 6ms G2G response time, 1000:1 contrast ratio, 300 cd/m2 brightness, 178/178 viewing angles, 1.07b colour depth and wide gamut backlight offering 100% Adobe RGB coverage. The panel used is IPS-type. UP2516D - The existing 24" U2413 is also expected to go end of life soon so it seems logical the new UP2516D could be a replacement for that model. This time it will be 25" in size, and will move to a 2560 x 1440 resolution like the U2515H already available. The UP in the model name again indicates a wide gamut / hardware calibration screen which would separate it from the U2515H, although at the moment we aren't aware of any wide gamut 25" panels in production. The absence of a Q again confirms this won't be ultra HD resolution, which is again something we've not seen from any current 25" panels anyway. An upgrade from the U2413's 24" 1920 x 1200 resolution to the UP2516D's 25" 2560 x 1440 seems a logical step up from Dell though. They are expected to be available 20 October 2015 in Europe and we will update this news piece when we have firmer UK / USA pricing. 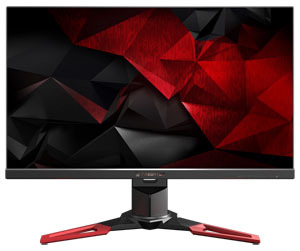 UK retailer Overclockers.co.uk (OcUK) has released pre-order pricing and estimated availability on 3 new Asus ROG monitors coming hopefully before the end of 2015. They have also provided some further information about the new screens which is of interest. 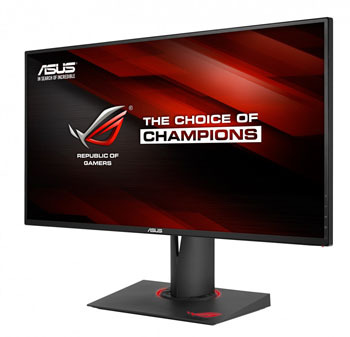 Asus ROG Swift PG279Q (pictured)- this is the new version of the very popular ROG Swift PG278Q, this time featuring a 27" 2560 x 1440 resolution IPS-type panel instead of TN Film. Further information in our previous news piece here. As we reported before, the screen will support refresh rates up to 165Hz. OcUK have confirmed that 165Hz is only supported when using G-sync and from GTX 960 and higher cards only. GTX 700 series only support up to 120Hz apparently. We believe AMD cards will support the native 144Hz maximum of the panel used, although obviously G-sync will not be supported. 3x NVIDIA GeForce GTX660Ti BOOST GPU or higher in 3-way SLI configuration are needed, or GPU with 3x DP connectors for surround mode. Driver version 355.60 is already released for all G-SYNC-supported graphics cards. If you are using GTX 9 series graphics cards, you can download 355.60 or latest version from the NVIDIA website. The ROG SWIFT PG279Q can support G-SYNC Surround (3x SWIFT PG279Q) up to 7680 x 1440. The presence of an HDMI port is now confirmed and OcUK say that the DisplayPort supports 2560 x 1440 up to 165Hz. The HDMI only supports 2560 x 1440 @ 60Hz. 3D Vision is NOT supported, but ULMB (Ultra Low Motion Blur) IS supported at 85, 100 and 120Hz (not when using G-sync). The PG279Q has a current retail ETA of 13 Nov 2015 at the moment and a pre-order retail price of £749.99. We expect/hope to have a review sample before that, hopefully in October if all goes well. 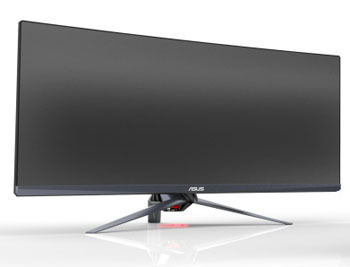 Asus ROG Swift PG348Q - our recent news piece has more information about this very interesting 34" ultra-wide screen with 3440 x 1440 resolution and 100Hz refresh rate IPS panel. The OcUK spec confirms that G-sync and 100Hz refresh rate support is only supported on GTX 700, GTX 900 and Titan series. The DisplayPort supports 3440 x 1440 up to 100Hz and the additional HDMI input only supports 3440 x 1440 @ 30Hz. The ROG SWIFT PG348Q can support G-SYNC Surround (3x SWIFT PG348Q) up to 10320 x 1440 resolution. The spec also confirms that 3D Vision and ULMB are not supported on this model. The PG348Q has a current ETA listed as 31/12/15 but OcUK expect it "December/January time" and cannot guarantee pre-Christmas delivery due to the vagueness at the moment. Pre-order price is £1199.99. We hope to have a review of this at some point once it's available too but we expect it won't be until the new year. 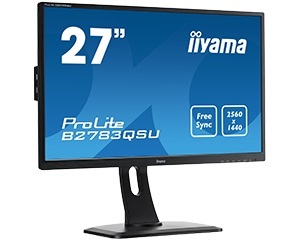 Iiyama have just announced their new 27" B2783QSU gaming display. It is the first Iiyama monitor supporting FreeSync technology from AMD making it an option for gaming audiences. The 27" 2560 x 1440 resolution TN Film panel offers a 1ms G2G response time, 1000:1 contrast ratio, 350 cd/m2 brightness and 170/160 viewing angles. 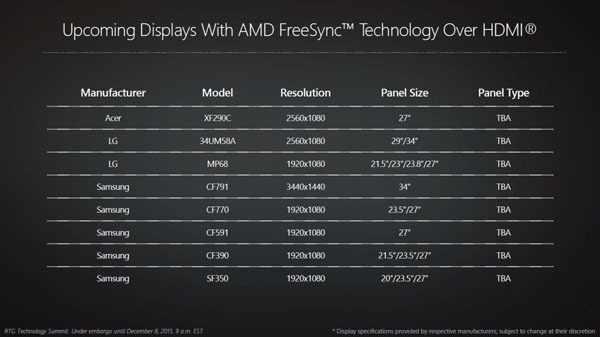 The FreeSync range is 48 - 75Hz according to the spec, as this is not a high refresh rate panel being used here. The screen also includes a blue light filter mode and has DVI-D, HDMI and DisplayPort connections. There is also a 2 port USB 3.0 hub built in along with 2x 2W stereo speakers. Tilt, height, swivel and rotate functions are all offered by the stand. The screen has been launched across Europe as of 3rd September. There's been a lot of Ultra HD 3840 x 2160 displays released over the last year or so, and a few with "true 4k" 4096 x 2160 resolution as well. Only a couple of manufacturers have pushed beyond this with the likes of the Dell UP2715K and Apple Cinema Display being the first to offer a whopping 5120 x 2880 "5K" resolution. 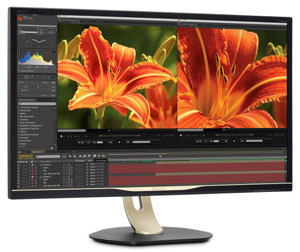 Philips have now joined the 5K market with their 275P4VYKEB. This is a 27" sized screen with a fairly modest design in line with a lot of their other models. They are using a Samsung PLS (IPS-type) panel here with 217.57 PPI (Pixels Per Inch) and 10-bit colour depth. The panel coating is glossy as well, although it remains to be seen if there is any anti-reflective treatment at all. In other specs the screen offers an 8ms G2G response time 1000:1 contrast ratio, 300 cd/m2 brightness, 178/178 viewing angles and wide colour gamut backlight with 99% Adobe RGB coverage. The screen is also flicker free. The stand offers a full range of ergonomic adjustments with tilt, height, swivel and rotate available. There are 2x DisplayPort 1.2 video connections provided and at the moment you need both connected from a suitable graphics card to power the screen at 5K resolution and 60Hz refresh rate. There are also 3x USB 3.0 ports, 1 with fast charging support. Update 31/3/16 - The new Philips 275P4VYKEB display, with an RRP of £1,169.99, will be available at the beginning of April. Perhaps one of the most eagerly anticipated screens in recent times is the Asus ROG Swift PG279Q. A follow up to the extremely popular (and excellent) ROG Swift PG278Q model, this new PG279Q moves from a TN Film panel to an IPS-type panel. This follows on from IPS gaming screens like the Acer Predator XB270HU (with G-sync) and Asus's own MG279Q (with FreeSync) which are currently the only two high refresh rate IPS offerings available. The ROG Swift PG279Q sticks with support for NVIDIA G-sync, including the useful ULMB motion blur reduction mode. 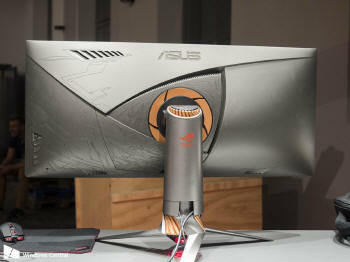 The refresh rate was originally expected to be 144Hz, but in an effort to offer the biggest and best refresh rate numbers Asus are now promoting a supported 165Hz maximum refresh rate. We have yet to see how these "overclocked" refresh rates work, but they seem to be offered on a few G-sync capable screens now (100Hz on the Acer X34, 100Hz on the Asus PG348Q, 200Hz even on the Acer Z35). It is expected that this is a function of the added G-sync module but we've yet to see it in practice. Interestingly this could be a useful benefit in the G-sync vs FreeSync debate but we will wait to see how it works and if it's practically usable. The PG279Q will offer a 2560 x 1440 resolution, and will likely offer a 4ms G2G response time, 1000:1 contrast ratio, 178/178 viewing angles, 16.7m colour depth and sRGB gamut. DisplayPort connectivity will be provided of course and we expect to see HDMI as well. The latest from Asus is that review samples are expected probably in October, although firm dates with ROG equipment are hard to obtain. If that is the case, we expect retail to be around December time. Keep an eye on our Twitter feed for the latest news. We will have a review when we can! 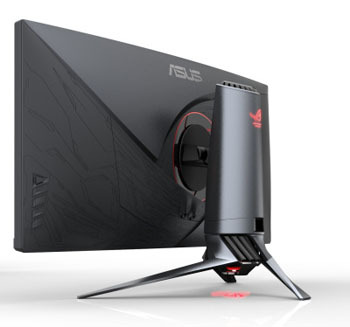 We first brought you news about a planned 34" gaming monitor from Asus back in June 2015. At the time the screen was only a prototype and very little information was confirmed. The model name at the time was expected to be the ROG PG34Q, but it seems Asus have now updated this to the ROG PG348Q instead in their recent press release for IFA 2015. The PG348Q is a 21:9 aspect ratio ultra-wide screen with a curved format and 3440 x 1440 resolution. It features an IPS panel with NVIDIA G-sync support, and according to the press release can support refresh rates up to 100Hz. 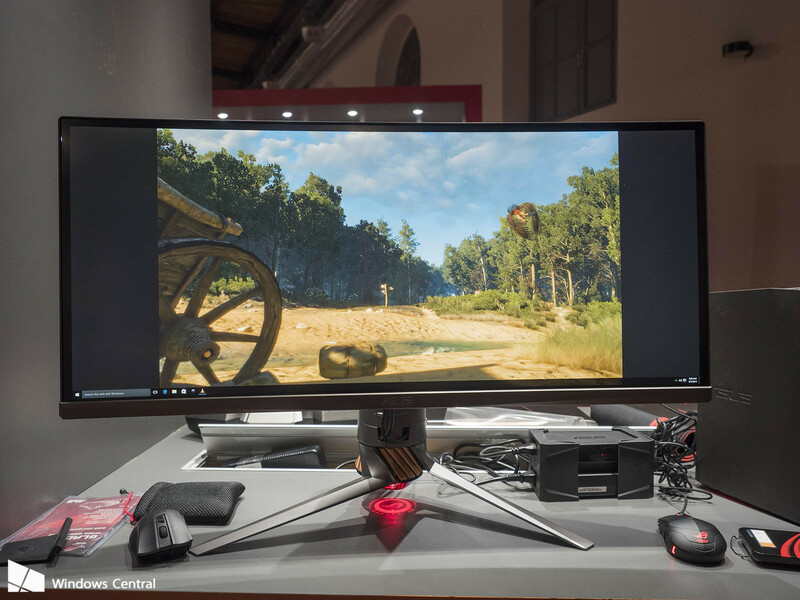 This is much like the forthcoming Acer Predator X34 and we have yet to see how this >75Hz refresh rate works in practice, suspecting that it is an "overclocked" mode when using NVIDIA G-sync. The screen also offers ULMB (Ultra Low Motion Blur) for reduced perceived blur. The usual Asus preset modes and gaming extras (crosshairs and the likes) are included as with previous ROG models. The screen has a frameless design as you can see from the images above and the stand offers tilt, height and swivel adjustments. Current estimates from Asus UK are for a Q1 release although no firm dates yet. Update 29/1/16 - The screen will apparently be available in February Worldwide. In the UK, the screen is now available to pre-order from Overclockers.co.uk at a retail price of £995.95. Asus's press material talks about "the new Armor Titanium and Plasma Copper color scheme, and built-in LED effects" as well as a highlight. Acer have announced today the forthcoming release of three new models in their popular XB series for gamers. Firstly, the most interesting is the update to the excellent Predator XB270HU display, with the new 27" Predator XB271HU being shown off at IFA 2015. This is pictured above - note the ultra thin bezel design. The main change comes in the form of a zero-frame design, with popular features of an IPS-type panel, 144Hz refresh rate, ULMB support, 100% sRGB gamut coverage and NVIDIA G-sync support being kept from the old model. Other details about the new screen aren't available at the moment but we have asked Acer for further information. We expect G-sync ver II to be used here so expect an HDMI input along with the usual DisplayPort. 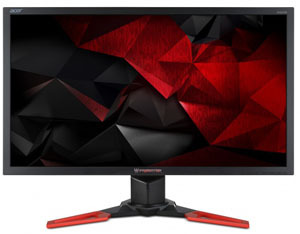 Secondly there is the 27" Predator XB271HK which offers a zero-frame design as well, along with 3840 x 2160 Ultra HD resolution, NVIDIA G-sync support, 100% sRGB and 60Hz maximum refresh rate (as far as we know). Finally there is the 28" XB281HK (pictured), with 3840 x 2160 resolution, 1ms G2G response time, TN Film panel, NVIDIA G-sync support and a 60Hz refresh rate. The Predator XB1 Series will be available in North America in November with prices starting at US$799.99, in EMEA in October with prices starting at €699. Exact specifications, prices, and availability will vary by region. All three models are being shown off at IFA 2015 in Berlin, so more information when we get it. 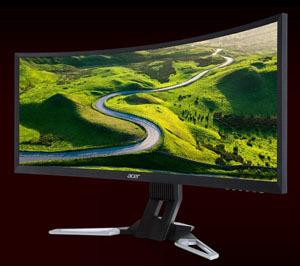 Acer have just announced the forthcoming release of an interesting new monitor in their gaming range. There were some rumours about this screen a few months back but this is the first time we've seen official information released from Acer. 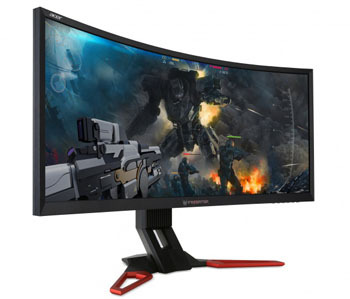 The Predator Z35 is 35" in size, has a 21:9 ultra-wide aspect ratio and curved screen format. It utilises an AMVA panel which is the same as the recently released BenQ XR3501. Like that model, the native refresh rate of the panel from AU Optronics is 144Hz, but Acer state in their press release that this can be overclocked to a whopping 200Hz! It remains to be seen how that will work. Unlike the BenQ model, the Acer Predator Z35 will support NVIDIA G-sync technology, which is presumably where the 200Hz refresh rate max comes in, probably only supported when using G-sync although again that's to be confirmed. The press release also confirmed ULMB (Ultra Low Motion Blur) will be available too. The resolution is relatively low, only offering 2560 x 1080 maximum, as opposed to the 3440 x 1440 we've seen from some 34" ultra-wide screens. However, the much higher refresh rate makes up for this somewhat and firmly positions this as a gaming screen. Spec wise the screen is based on an AMVA panel (VA-type), sporting a 4ms G2G response time, 300 cd/m2 brightness, 172/178 viewing angles and 100% sRGB coverage. Static contrast ratio spec is not listed but we suspect 3000:1. The screen is W-LED backlit and the curvature of the panel is 2000R. The G-sync model will offer HDMI 1.4, DP and 4x USB 3.0 ports only from what we know so far. There are 2x 9W stereo speakers offered along with a tilt and height adjustable stand. The screen should also be flicker-less (PWM not used for backlight dimming) and have low blue light mode as well. The Predator Z35 will be available in North America in December with prices starting at US$1199.99, in EMEA in December with prices starting at €1,099. 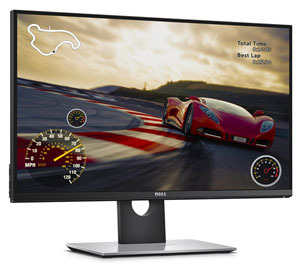 Dell have recently announced something quite unusual for them, a new monitor aimed at the gaming market. The forthcoming S2716DG is highlighted by it's 27" 2560 x 1440 resolution TN Film panel, offering a 1ms G2G response time, 144Hz refresh rate and support for NVIDIA G-sync technology. The S2716DG will offer a full range of tilt, height, pivot and rotate adjustments from the stand and will have DisplayPort 1.2 and HDMI 1.4 inputs available. There are also 4x USB 3.0 ports and audio out / headphone out connections. 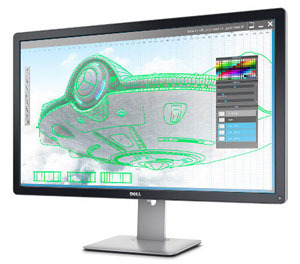 Starting at $799.99, the new Dell 27 Gaming Monitor (S2716DG) will be available in the US on Dell.com beginning Oct. 20. More news on UK price and availability when we get it. 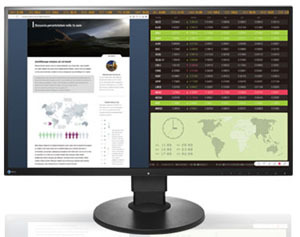 Eizo recently announced the release of the FlexScan EV2750, a 27-inch IPS monitor with an LCD screen that is flush with the minimalist frame that surrounds it for a fully flat surface. The FlexScan EV2750 features picture-by-picture capability and numerous ergonomic and energy-saving features that make it ideal for business environments such as trading rooms, control rooms, and back offices. The cabinet is essentially bezel-less on the sides and top with a frame that is just 1 mm in width. The LCD panel’s perimeter has black borders of 5.5 mm. The depth of the cabinet is a mere 48.5 mm. This minimalist design combined with a fully-flat surface makes for a seamless visual experience. Furthermore, the cabinet is available in white to blend in with modern desktop and office environments (black also available). 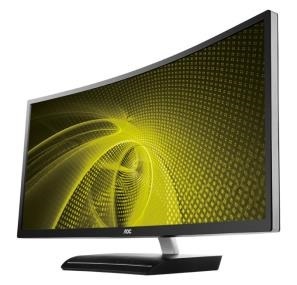 The 27" screen uses an LED-backlit IPS (in-plane switching) LCD panel with a native resolution of 2560 x 1440. Its 178° viewing angle minimizes colour shift. The typical brightness is 350 cd/m2 and the contrast ratio is 1000:1. There is also a 5ms G2G response time, 16.7m colour depth and standard sRGB gamut W-LED backlight. The FlexScan EV2750 has an ergonomic stand with 155 mm height adjustment, 40° tilt (5° down, 35° up), and 344° swivel. It pivots 90° clockwise and counter-clockwise to take advantage of the ultra-slim bezels when using two or more monitors side-by-side in portrait mode. A quick-release button allows for easy removal of the monitor from the stand for reconfiguration on a VESA-compatible mounting device. One DisplayPort, HDMI, and DVI-D input terminals are included for connection to various graphics boards. With picture-by-picture, content from two inputs can be displayed at once. The brightness dimming methods of conventional LED-backlit monitors cause many people to see flicker which results in eye fatigue. EIZO uses a hybrid dimming technology that makes flicker unperceivable even at low brightness levels. Furthermore, in dimly-lit work environments, brightness is adjustable to 1 cd/m2 which is less than 1% of the maximum. EIZO’s incorporates its own EcoView technologies to reduce typical power consumption to 22 watts. Auto EcoView automatically adjusts the screen’s brightness in accordance with the ambient brightness to trim power usage while reducing eye fatigue. EIZO has upgraded Auto EcoView so that it takes into account the human eye’s sensitivity to changes in low brightness levels up to 100 cd/m2 and renders these changes less noticeable for more comfortable viewing. EcoView Optimizer 2 saves power by reducing the backlight brightness and increasing the gain on screens consisting mostly of dark content. The FlexScan EV2750 is now shipping. Date of availability varies by country. 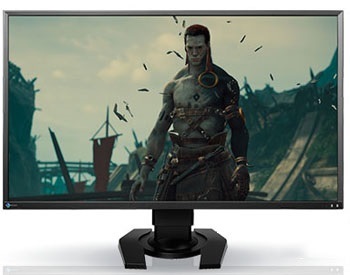 AOC have recently announced two new gaming monitors in their line-up, with a focus on AMD FreeSync support for gamers, and low-blue light filters for eye comfort. There are the 21.5" G2260VWQ6 and the 24" G2460VQ6, both offering TN Film panels with 1920 x 1080 resolution, 1ms G2G response time, 1000:1 contrast ratio, 250 cd/m2 brightness, 170/160 viewing angles, 16.7m colour depth and sRGB gamut. AOC's press release states: "Short blue light waves significantly damage the human eye in several ways. To eradicate the harmful part of the light, AOC’s Anti-Blue Light Technology shifts the wavelength peak from 450 nm to the much safer 460 nm. As a result, the hazardous light gets reduced by over 90%. By shifting the blue light instead of just filtering or blocking it, colours remain as brilliant as ever, with no loss in picture quality." The screens are also flicker free which is nice to see. Featuring AMD FreeSyn and a 1ms G2G response time at 60 hertz, gamers get an ultra-smooth gaming experience without image tearing, stuttering, input lag or motion blur. This ensures absolutely unhindered gameplay for all types of gamers, casual gamers and pro gamers alike. AOC previously announced two more models with AMD FreeSync accommodating the needs of competitive gaming and featuring a 144 Hz refresh rate, the AOC G2460PF and G2770PF. The new models feature D-sub, HDMI and DisplayPort connections and have a basic tilt adjustment only. AU Optronics have a few interesting new panels in production which we thought might be of interest. Firstly there is a new AMVA technology (VA type) panel scheduled to go in to production in Q1 2016. 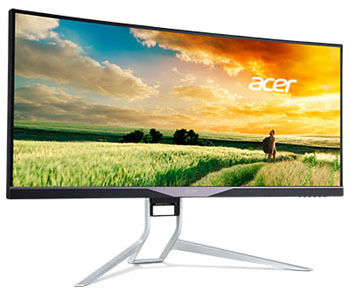 It is 30" in size and is a curved, ultra-wide screen with 21:9 aspect ratio and 2560 x 1080 resolution. For those who felt the 2560 x 1080 res was too low on the 35" VA panel already available (used in models like the BenQ XR3501), this might be an interesting new option once it's adopted by display manufacturers. Like it's 35" brother, this new 30" M300DVR01.0 panel offers a 144Hz refresh rate as well, something still very rare for VA technology. It boats a 3000:1 static contrast ratio, 300 cd/m2 brightness, 178/178 viewing angles and sRGB colour gamut. It has a 2000R curvature as well. With production not starting until Q1 2016 don't expect to see this available in any monitor until middle of next year. In a smaller 23.8" size AUO also have a couple of interesting TN Film panels planned. The new M238DTN01.0 and M238DTN01.2 panels will offer a 2560 x 1440 resolution for high pixel density viewing on a panel of this size, along with a 144Hz refresh rate. Being TN Film based they offer 1000:1 contrast ratio, 350 cd/m2 brightness, 170/160 viewing angles and sRGB gamut. They are expected to go in to production in October and December this year, so expect to see some displays featuring them in the new year hopefully. We have updated our extensive panel parts database with the new panels as well. As well as the new UP series models expected in October 2015 we also know of a few other UltraSharp models which should be available next year. We realise this is a long way off and a lot of these models might be common sense given previous Dell monitor refreshes. We thought it might be interesting to know the new product names so you can keep an eye out for more information as it appears. Note that it is the old U2414H model pictured above. We don't have any official details or specs yet, only model names. We can try and make a few educated guesses at what the new models might offer. We expect all these models to offer standard gamut backlighting since the UP series seems to be the higher end professional range now. HDMI 2.0 is likely to feature widely as well. U2417H and U2417HA - expect this to be an update to the 24" U2414H model, probably sticking with 1920 x 1080 resolution. We are not sure what the "A" represents here on one version. The U2417H is expected to be available early Feb, with the HA model coming end of Feb 2016. U2417HWi - Another version of the U2417H but again we're not sure what the "Wi" will represent here. This model is expected mid April 2016. U2717D and U2717DA - We expect these to be updates to the current U2715H model, so probably with 2560 x 1440 resolution still. We're not sure what the "A" version represents, but they are both expected to be available late February 2016. If you spot any more information about any of these models, please let us know. They are expected to be available 20 October 2015 in Europe. There appears to be a few new Dell UP series screens in the works coming at some point later this year. They have all appeared on a Certification website, although official information other than product names has yet to be released. Note that it is the old UP3214Q model pictured above. UP3216Q - This is probably the easier one to predict. We know that the 2014 UP3214Q (pictured above) is planned to go end of life in late October this year, while this new model is expected to appear for retail at the same time. This looks like a straight replacement to that old UP3214Q we have reviewed in the past. Expect some updates and improvements including the screen being recognised as a single display (SST) as opposed to multi screen (MST). The UP3214Q was a very early ultra HD offering so things have moved on since then. The 'Q' in the product name suggests it will have an Ultra HD 3840 x 2160 resolution like the other models with the Q in their name (UP3214Q, UP2414G, P2415Q, P2715Q). Expect a 31.5" sized IPS-type panel again, probably sticking with a Sharp IGZO panel like the old model, or maybe even moving to a slightly larger 32" AU Optronics AHVA panel with Ultra HD resolution. Either would fit the model name for Dell. UP2716D - The existing U2713H from 2013 is due to go end of life soon and so this is likely a direct replacement for that model in 27" size. The UP suggests wide gamut and hardware calibration high end features again, while the absence of a 'Q' in the model name suggests this will probably be kept at a 2560 x 1440 resolution. 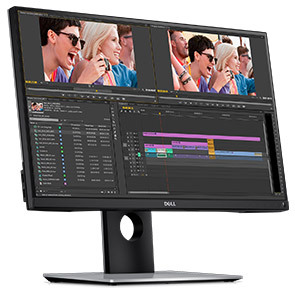 Dell don't have an Ultra HD 27" model though (only the 5K UP2715K) so perhaps there's a chance this new model would be 3840 x 2160 after all. We suspect not though. This model is expected to be released late October. UP2516D - The existing 24" U2413 is also expected to go end of life soon so it seems logical the new UP2516D could be a replacement for that model. This time it looks like it will be 25" in size, and so that suggests they will move to a 2560 x 1440 resolution like the U2515H already available. The UP in the model name again suggests a wide gamut / hardware calibration screen which would separate it from the U2515H, although at the moment we aren't aware of any wide gamut 25" panels in production. The absence of a Q again suggests this won't be ultra HD resolution, which is again something we've not seen from any current 25" panels anyway. An upgrade from the U2413's 24" 1920 x 1200 resolution to the UP2516D's 25" 2560 x 1440 seems a logical step up from Dell though. This will again be available late October. 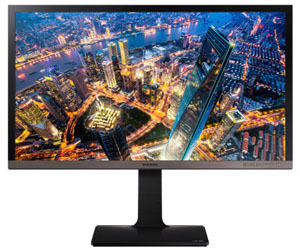 ASUS recently announced that 26 ASUS monitors have been certified by TÜV Rheinland for low blue light — more than any other monitor brand. The latest ultra-low blue light monitors feature four filter settings to reduce blue light emissions by up to 70%. In addition, 28 monitors have also been certified flicker-free by TÜV Rheinland. This full range of ultra-low blue light monitors is designed to reduce blue light emissions and onscreen flicker for a comfortable viewing experience. TÜV Rheinland is a professional certification organization and the world’s leading authority on display testing. The company has developed a display-specific standard (2PfG) for low blue light and flicker-free testing and measurement. After extensive research, ASUS engineers have determined the right amount of blue light reduction required for various tasks. The latest monitors feature four different Blue Light Filter settings. Level 1 is designed for web browsing and reduces blue light by 20% with minimal color shift. Level 2 is for viewing photos and videos, and reduces blue light emissions by 30%. Levels 3 and 4 reduce blue light by 50% and 70% for long periods of reading and viewing in dim environments respectively. Users can easily access these modes via an intuitive onscreen display (OSD) menu. ASUS Flicker-Free technology uses Smart Dynamic Backlight Adjustment to reduce flicker by avoiding low brightness levels that lead to high-speed LED backlight cycling. Monitors with ASUS Flicker-Free technology help prevent eye fatigue, irritation, or strains, so users can work on spreadsheets, play games, or watch videos comfortably for hours on end. 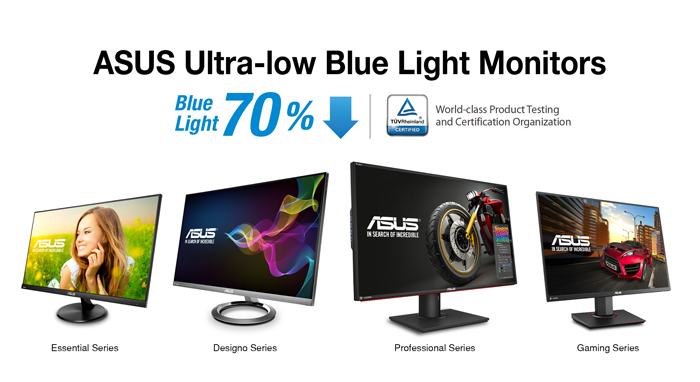 The latest ASUS ultra-low blue light monitor range protects users from harmful blue light emissions. It includes the PG and MG Series for gaming, the Designo Series for home entertainment, the PA and PB Series for graphics professionals, and the Essential Series for everyday use. ASUS will continue to develop reliable, high quality displays to expand its Eye Care monitor line-up. You don't see many monitors in this size and format nowadays but NEC are about to release a new 21.3" sized screen with a 4:3 aspect ratio and 1600 x 1200 resolution IPS panel. The P212 desktop display is designed for use in digital image acquisition, command and control, and industrial applications, and capable of 24/7 usage. In medical environments, all of the P Series displays can even be calibrated to the DICOM standard for conformance. The P212 comes in four configurations (in USA at least) – P212 (white cabinet), P212-BK (black cabinet), P212-SV (SpectraView II model in white) and P212-BK-SV (SpectraView model in black) – and features a conventional format 4:3 aspect ratio and 1,600 x 1,200 resolution in an IPS panel that covers 97.9 percent of sRGB colour space. Spec wise the screen also offers an 8ms G2G response time, 1500:1 contrast ratio, 440 /cdm2 brightness, 178/178 viewing angles, 1.07b colour depth and sRGB gamut. The screen supports some of NEC's professional range features including a programmable 14-bit 3D LUT and Uniformity Correction (DUE) feature. There are DisplayPort, HDMI 2.0, DVI and VGA connections available along with a 3 port USB 3.0 hub. The stand offers a full range of tilt, height, swivel and rotate functions and there are also 2x 1W stereo speakers built in. The new models will be available in September 2015 at a minimum advertised price of $899, $899, $1,149 and $1,149, respectively. 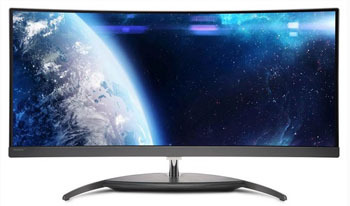 Philips are set to introduce a new 34" ultra-wide curved screen (3800R) to the market, the BDM3490UC. The new model is based around an LG.Display IPS panel with 3440 x 1440 resolution. In other specs the screen has a 5ms G2G response time, 60Hz refresh rate, 1000:1 contrast ratio, 300 cd/m2 brightness, 172/178 viewing angles, 10-bit colour depth (8-bit+FRC) and sRGB gamut. The stand offers only a basic tilt adjustment, and its central section actually houses the integrated 2x 7W stereo DTS speakers. There aren't any VESA mounting options on this model. There are 1x HDMI 2.0, 2x HDMI 1.4 (one with MHL), DisplayPort and audio connections available on the screen along with 4x USB 3.0 ports. It can also support various PiP and PbP options. 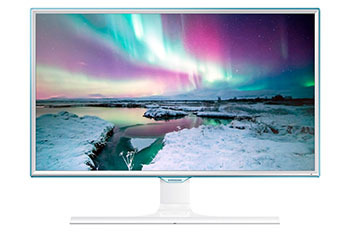 Update 8/9/15: The new Philips curved UltraWide LCD display will be available as of Q4/2015 for a price of £799.99. Eizo have today announced a new gaming monitor in their Foris range of screens. The 27" FS2735 features a 2560 x 1440 resolution IPS-type panel, 144Hz refresh rate and support for AMD FreeSync. Not only that, but Eizo have also added a native blur reduction mode for strobe backlighting which is excellent news. Flicker free backlight and low blue light modes are also promoted, as well as Eizo's familiar EcoView ambient light sensor. 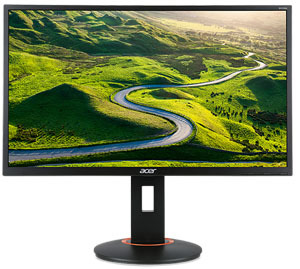 Other specs aren't provided at the moment but expect them to be similar to the Acer XB270HU and Asus MG279Q models as it will almost certainly be using the same AU Optronics AHVA (IPS-type) panel. It is also being combined with Eizo's own smartphone and cloud-sharing solutions and will be showcased at Gamescom 2015. With the announcement of the FORIS FS2735, EIZO is unveiling two new additions to its G-Ignition software solutions: G-Ignition Mobile and G-Ignition Drive. G-Ignition Mobile is an iOS- and Android-compatible application that works with Bluetooth Smart technology built into the FORIS FS2735. For the first time, gamers can use their smartphones to adjust the monitor’s brightness colour, preset modes, and other settings when the FORIS FS2735 is connected to any platform be it Windows, Macintosh, or a console. Gamers can also enable G-Ignition Mobile to post a notification in the corner of the FORIS F2735’s screen whenever they receive a call or message on their smartphone. Gamers who use headphones no longer have to worry about missing an important call or e-mail because they could not hear their smartphone’s ringtone. G-Ignition Drive is EIZO’s own cloud service where FORIS gamers can upload and share their gaming presets (monitor settings) with one another as well as download gaming presets made by professional gamers such as Ninjas in Pyjamas. Both G-Ignition Mobile and EIZO’s legacy G-Ignition software for Windows can be used for accessing G-Ignition Drive. G-Ignition Drive is also available for other current FORIS models, the FS2434 and FG2421. Like the FORIS FS2434 before it, the FORIS FS2735 is equipped with EIZO’s own Smart technologies to improve visibility and clarity. Smart Insight – Available with the “Game” preset mode, this feature identifies dark areas of an image and adjusts each pixel individually to vastly improve in-game visibility. With the FORIS FS2735, EIZO has upgraded this feature and is calling it Smart Insight Demolition. It now also identifies areas that are too bright and adjusts them to enhance the contrast between characters in a game and the background. Smart Resolution – Super-resolution technology that analyzes an image for noise and blurring and then corrects the blur without accentuating the noise. The FORIS FS2735 debuts a new slim cabinet design. The backside features a sleek horizontal red stripe and silver EIZO logo. Below the stripe is a handle for carrying the monitor to a LAN party or gaming event. Dual one-watt speakers are built into the back of the monitor. For viewing comfort, the stand provides 155 mm of height adjustment, 40° of tilt (35° up and 5° down), and 180° of pivot (90° right and left). A cable holder on the stand contributes to a clutter-free desktop. One DisplayPort, two HDMI, and one DVI-D input provide connectivity with PCs, consoles, Blu-ray players and cameras. A USB 3.0 hub with one upstream and two downstream ports lets users connect to USB 3.0-compliant storage devices. A line-out jack for connecting to external speakers and a headphone jack provide further functionality. The FORIS FS2735 will begin shipping this winter. G-Ignition Mobile will be available for download free of charge from Google Play and the App Store on iTunes when the FORIS FS2735 is released. G-Ignition Drive will be online for use with current models (FORIS FS2434 and FG2421) by late September. We will hopefully feature a review of this screen as soon as it's available. We are also trying to confirm expected retail price with Eizo. 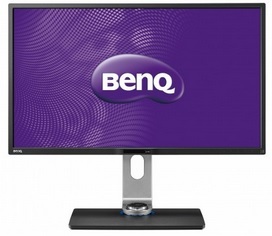 The confusingly named BL2420Z should not be confused with the BenQ XL2420Z gaming screen, it is a follow up to the Business Line (BL) series BL2410PT and BL2411PT models before it. This time BenQ have reverted to using an AMVA panel in this new 23.8" sized model, moving away from IPS of its predecessor. The design has been updated with blue trim in places, a thinner bezel, smaller stand foot-print and a brushed metal effect texture on the base. The AMVA panel offers a 1920 x 1080 resolution, 7ms G2G response time, 3000:1 contrast ratio, 250 cd/m2 brightness, 178/178 viewing angles, 60Hz refresh rate and 8-bit colour depth. The W-LED backlight is flicker free and covers a normal sRGB gamut. VGA, DVI and DisplayPort connections are provided along with 2x USB 2.0 ports. A full range of tilt, height, swivel and rotate adjustments are offered from the stand. Back in April we brought you news about the two new 34" ultra-wide gaming screens from Acer, the XR341CK and (as it was known at the time) the XR341CKA. These new screens offered 34" curved format screens with a 21:9 aspect ratio and 3440 x 1440 resolution. They feature LG.Display AH-IPS panels, boosted refresh rates and a selection of advanced gaming features including AMD FreeSync and NVIDIA G-sync respectively. At the beginning of July we were the first to review the FreeSync model, the XR341CK. This offered a refresh rate up to 75Hz. For those who have asked, we didn't have any luck overclocking the refresh rate to anything higher than the native 75Hz. We also experienced some issues with frames being dropped from an NVIDIA system at 75Hz, which Acer are now investigating. This FreeSync model still hasn't made its way to any retail stores yet in the UK and at the moment it looks like it's expected in late August. Retail price is expected to be around £840 GBP (inc VAT) by the look of things. The G-sync version is held up further still. Originally we were informed this would be called the XR341CKA but more recently Acer have decided to change it to the simpler "Predator X34". There's been plenty of rumours floating around about the refresh rate of this model and Acer have confirmed for us this week that it will support refresh rates up to 100Hz. Some reports suggest that is only available when using G-sync specifically, and we are still trying to confirm the situation with Acer. If that is the case then AMD users and non-G-sync users could only use the screen up to an expected 75Hz. We will confirm when we know more. According to the initial spec sheets we had in April the G-sync model would also support ULMB (Ultra Low Motion Blur). We have yet to confirm that this has not changed, but we hope to see it included. It's feasible that even if the screen can only operate up to 75Hz outside of G-sync mode, the strobing could possibly be double to 150Hz to avoid noticeable flicker on the screen. 85Hz is commonly considered a lower limit for strobing without flicker becoming too distracting, but tricks to double the strobe frequency have been used by other manufacturers before for lower refresh rates. We will see how this pans out. Keep in mind you can't use G-sync and ULMB at the same time. The estimated first ETA for the Predator X34 at the moment is the beginning of October for retail availability. That's in the UK although given the manufacturing and distribution lines we expect Europe to be around the same time. We are not sure about the USA but don't expect it to be any sooner based on past experience. We will hopefully have a review sample sooner, in early September so expect a full review when have it. Keep an eye on our Twitter feed for updates. We expect the price to be more than the XR341CK given the G-sync module, but a final retail price has yet to be announced. Update 18/8/15: The Predator X34 is now available to pre-order from Overclockers UK at £949.99 GBP. ETA is currently 30/9/15. We hope to have a review sample before then. AOC have just introduced two new 32" sized screens in their line up, with quite differing specs and panel performance. 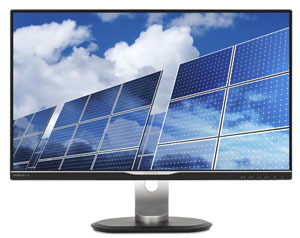 The U3277Pqu has an Ultra HD Resolution of 3840 x 2160 and features an AHVA (IPS-type) panel. The Q3277Pqu on the other hand has a QHD 2560 x 1440 resolution and an AMVA (VA type) panel. The U3277Pqu offers 3840 x 2160 resolution, 4ms G2G response time, 1000:1 contrast ratio, 350 cd/m2 brightness and 178/178 viewing angles. The Q3277Pqu has a 2560 x 1440 resolution, 4ms G2G response time, 3000:1 contrast ratio, 300 cd/m2 brightness and 178/178 viewing angles. Both models offer 100% sRGB gamut coverage, 1.07b colour depth (8-bit + FRC) and are flicker free as well. PiP and PbP are also offered for multi-input viewing. The provided stand offers tilt, height, swivel and rotate adjustments and the screens are also VESA 100 compliant too for mounting options. Connectivity options include DisplayPort, HDMI, MHL, DVI and VGA, with the U3277PQU also offering HDMI 2.0 for 3840 x 2160 at 60Hz. The AOC U3277Pqu and the AOC Q3277Pqu will be available in August 2015. The MSRPs are £699 and £419 respectively. Samsung this week introduced the SE370 displays, the industry’s first monitors with an integrated wireless charging function for mobile devices. Available in 23.6 (S24E370DL) inches and 27 (S27E370DS) inches, the SE370 monitors de-clutters work areas by doing away with unnecessary cables and ports needed to charge mobile devices. Samsung’s SE370 monitor works with all mobile devices that use the leading Qi wireless charging standard, which was developed by the Wireless Power Consortium (WPC). Qi is one of the most readily-available global interface standards. For optimized convenience and productive multitasking, the SE370 monitor consolidates the multiple charging ports found in other displays with a circular wireless charging area integrated in the monitor’s stand. Users simply need to place their device on the stand’s charging area to initiate automatic charging, which is confirmed by an LED light. The displays are a glossy white design which is fairly unusual as well. Both screens are based on Samsung PLS (IPS-type) panels, offering 1920 x 1080 resolution, 4ms G2G response time, 1000:1 contrast ratio, 250 / 300 cd/m2 brightness, 178/178 viewing angles and standard gamut backlights. DisplayPort, HDMI 1.4 and D-sub connections are provided on both. The screens have low blue light filters and flicker free backlights too which is good news. No word on price of release date yet. Philips have announced a new display with 4K Ultra High Definition (UHD) resolution. The BDM3275UP display – at 32 inches a new size for Philips Monitors with this resolution – responds to growing demand for super-fine resolutions at comparatively modest screen dimensions. Users can look forward to 4K UHD clarity for detail-rich entertainment such as movies and games, as well as for data-intensive office applications. The screen offers an ultra HD 3840 x 2160 resolution, 4ms G2G response time, 1000:1 contrast ratio, 350 cd/m2 brightness, 178/178 viewing angles, 10-bit colour depth. It is based on an AU Optronics AHVA (IPS-type) panel. VGA, DVI, HDMI 2.0 (MHL) and DisplayPort connections are provided along with 4x USB 3.0, audio in and headphone out. Philips also advertise this model as being flicker free and it features PiP and PbP options for "MultiView" experience. There are integrated stereo speakers included as well. The new Philips 32-inch display with 4K resolution will be available in July 2015. The RRP is £ 799. 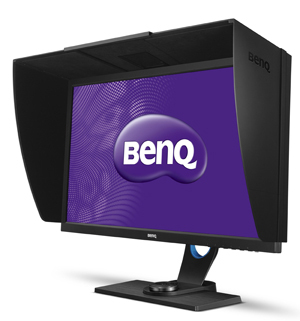 BenQ are releasing a new 27" monitor in their range, aimed at professional photographers and colour critical work. 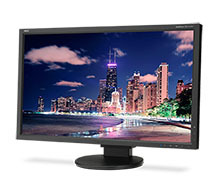 The SW2700PT sports a 2560 x 1440 resolution with wide gamut backlight offering 99% Adobe RGB coverage. The screen features hardware calibration of it's 14-bit 3D LUT, factory calibration to dE <2 in both Adobe RGB and sRGB colour spaces, bundled "Palette Master Calibration software" and an included shading hood. BenQ's press release says "Every photographer dreams of capturing that singular image, a sliver of time that will never happen again. What if you could isolate the unique magic in every moment? The SW2700PT is designed to effortlessly and accurately showcase the creative vision of professional photographers, enhancing and empowering the visual stories they communicate. With unprecedented colour accuracy, attention to precise detail and user-friendliness, the SW2700PT creates colours so true that it brings out the un-reproducible essence of every photo, whether taken by a seasoned pro or amateur hobbyist." The screen comes with BenQ's handy OSD controller device, and offers a full range of tilt, height, swivel and rotate functions. There are DL-DVI, HDMI and DisplayPort connections offered along with a headphone jack as well. The screen will be flicker free and feature BenQ's low blue light modes too. The SW2700PT will be released first in America, Europe and Asia Pacific in July, 2015. Price is not listed yet. Available in 23.5- U24E590D and 28-inch U28E590D models form part of the new UE590 series, and are most applicable for high-quality entertainment seekers and avid gamers who require immersive visual detail. Both models support ultra HD 3840 x 2160 resolutions and AMD FreeSync dynamic refresh rates as key features. The U24E590D offers a 4ms G2G response time, 1000:1 contrast ratio, 300 cd/m2 brightness, 178/178 viewing angles, 16.7m colour depth and sRGB gamut. We're not aware of any 23.5" sized panels which meet this spec, and in fact the panelook website doesn't list any modules at all in that diagonal. We wonder if the screen size was perhaps a slight typo as the spec seems to line up with Samsung's PLS panel available in 23.6" size nicely (LTM236FL01). The stand offers only a basic tilt adjustment, and there are HDMI, HDMI 2.0 and DisplayPort connections offered. PiP and PbP are supported. The 28" U28E590D has a lot of the same features and connections but the panel spec is different. It is using a TN Film panel offering 1ms G2G response time, 1000:1 contrast ratio, 370 cd/m2 brightness, 170/160 viewing angles, 1.07b colour depth and sRGB gamut. Alternatively, there is also the new UE850 series displays (23.5" U24E850R, 28" U28E850R and 31.5" U32E850R) with improved resolution and dynamic connectivity drive efficiency for professional, creative and analytical tasks. Panel specs vary between these three models but all of them have a full range of tilt, height, swivel and rotate adjustments from the stand. 3840 x 2160 resolution and AMD FreeSync support are again key features offered by these models. The supposed 23.5" U24E850R offers 4ms G2G response time, 1000:1 contrast ratio, 300 cd/m2 brightness, 178/178 viewing angles, 16.7m colour depth and sRGB gamut. We suspect again that this could well be a 23.6" sized panel in the absence of any information about panels in the 23.5" size. HDMI 2.0, DisplayPort and Mini DP connections are provided. The 28" U28E850R is using a TN Film panel offering 1ms G2G response time, 1000:1 contrast ratio, 370 cd/m2 brightness, 170/160 viewing angles, 1.07b colour depth and sRGB gamut. The same spec as the U28E590D model discussed above in fact. HDMI, HDMI 2.0, DP and Mini DP connections are offered. Finally the 31.5" U32E850R offers a 4ms G2G response time, 1000:1 contrast ratio, 300 cd/m2 brightness, 178/178 viewing angles, 16.7m colour depth and sRGB gamut. HDMI, HDMI 2.0, DP and Mini DP connections are offered. All models discussed here in this article are advertised as flicker free as well which is good news. Release dates and prices aren't listed at the moment. AOC are set to release two new gaming monitors with FreeSync variable refresh rate support. 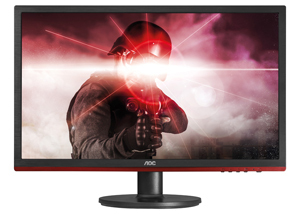 The 24" G2460PF and 27" G2770PF feature 1ms G2G response times, 144Hz refresh rate and use TN Film panel technology. In other specs the screens both offer a 1920 x 1080 resolution, 1000:1 contrast ratio, 300 cd/m2 brightness (27" model), 350 cd/m2 brightness (24" model), 170/160 viewing angles, 6-bit+FRC colour depth and sRGB colour gamut. According to some reports the FreeSync range supported is an impressive 30 - 160Hz, which actually seems to push the refresh rate beyond the maximum 144Hz if correct. We will wait and see what emerges but that is apparently what AOC have said. The stands included with the monitor are fully adjustable (tilt, height, swivel and pivot). The ports include Dual-Link DVI, HDMI, DP 1.2a+, 4 USB ports (2.0/3.0 for 24”/27” model, respectively), 3.5mm headphone jack and 2W stereo speakers. More info on the G2460PF and G2770PF can be found on AOC’s website. The screens will be available in September 2015 in the UK at least at retail prices of £229 and £279 GBP. 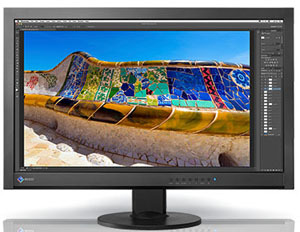 Eizo have recently announced their new ColorEdge CS270, a 27-inch colour management monitor that fits the varying needs and budgets of photo enthusiasts and graphic design professionals. The ColorEdge CS270 offers many of the advanced features of Eizo’s ColorEdge line-up such as a wide colour gamut and hardware calibration. It also delivers benefits not usually available with cost-performance monitors such as dedicated calibration software that supports compatibility with a wide range of third-party calibration devices and a manufacturer’s five-year warranty. The ColorEdge CS270 features a wide-gamut IPS-type panel with a 2560 x 1440 native resolution and reproduces 99% of the Adobe RGB colour space. With this extended gamut, images shot in RAW can be converted to Adobe RGB or images shot in Adobe RGB will be displayed in vibrant and lush colours. In other specs the screen offers a 15ms G2G response time, 1000:1 contrast ratio, 300 cd/m2 brightness and 178/178 viewing angles. The screen is also advertised as flicker free which is good news. 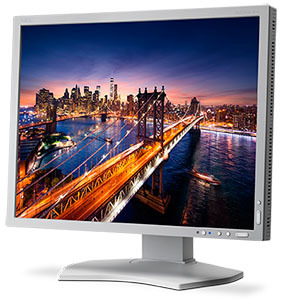 The ColorEdge CS270 comes equipped with DisplayPort, HDMI, and DVI input terminals. With the DisplayPort input, the monitor offers 10-bit display (more than one billion colours simultaneously) from a 16-bit look-up table. In addition, it can display 10-bit colour via the HDMI input terminal with Deep Color applicable devices. An ergonomic stand with 35° tilt, 344° swivel, portrait mode, and 148 mm height adjustment lets users place the screen in the optimal position. The stand has a sturdy build and includes a cable holder for a clutter-free desktop. Eizo's DUE (digital uniformity equalizer) technology compensates for uniformity errors common to all LCD panels to produce more even brightness and colour across the screen. With DUE, the screen stays uniform even when calibrating the monitor to user-preferred settings. The screen is factory calibrated as well, but for users that require a wide variety of calibration functionality, Eizo bundles its proprietary ColorNavigator 6 software. Preset target values for photography, printing, and web design are included for users looking for a simple way to calibrate the monitor. Experienced users can set their own target values for brightness, gamma, and white point, and generate an ICC profile. ColorNavigator 6 offers several advanced functions such as measuring the white of the paper to be used for printing for better screen-to-print matching and profile validation for verifying calibration results. Because ColorNavigator 6 is proprietary software, EIZO has ensured it is compatible with a wide range of calibration devices from X-Rite, Datacolor, and other manufacturers and supports Macintosh, Windows, and Linux (Red Hat 6.4) operating systems. NEC have just announced their new EA275UHD monitor, part of their 4K Ultra-High definition product portfolio. 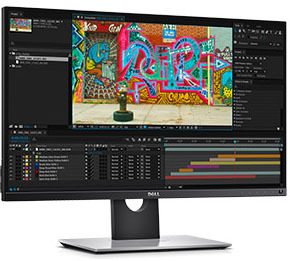 The monitor’s UHD resolution (four times full HD), business-class features and factory calibration are ideal for high-end corporate users, CAD/CAM engineers, Command & Control personnel and entry-level graphics users as well as anyone desiring more desktop space. Spec wise the 27" screen features an AH-IPS panel with 3840 x 2160 resolution, 6ms G2G response time, 1000:1 contrast ratio, 350 cd/m2 brightness, 178/178 viewing angles, 10-bit colour depth and sRGB colour space. 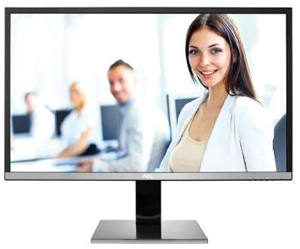 The EA275UHD display includes a multitude of the latest connectivity options, including DisplayPort 1.2, HDMI 2.0, DVI-D and a USB 3.0 hub, and includes a UHD up-scaling feature to improve any non-UHD content. It also is compatible with SpectraView II calibration software for accurate colour reproduction and hardware calibration. The stand offers a full range of tilt, height, swivel and rotate adjustments available. Integrated 2x 1W stereo speakers and a human motion sensor are included as extras. The EA275UHD will be available in June 2015 at an advertised price of $799 USD. An EA275UHD-BK-SV bundle also will be available in June 2015 at a minimum advertised price of $949, which includes a Spyder calibration sensor and the SpectraView II software with the display.